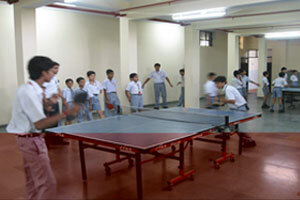 The school takes special care of physical health and games & sports activities by providing the required facilities and coaches for athletics, badminton, basketball and tennis, cricket, gymnastics, karate, roller skating, swimming, table tennis, tennis, taekwondo, volleyball, yoga and chess. 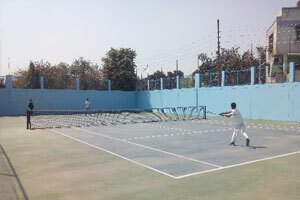 State of Art Basket Ball court and Tennis court is available. 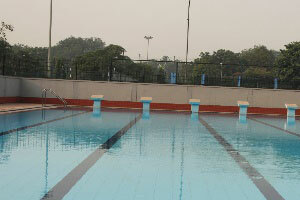 The school has a gymnasium / swimming pool and a toddler's pool. 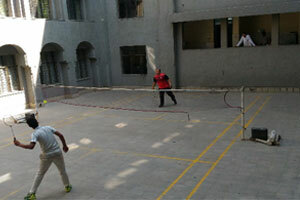 The school has a basketball court. Monthly sports activities for Pre School , Pre Primary , classes I to III and intra class matches for classes IV to XII in different games are regularly held. The Bal Bharati Activity Centre at Solan centre gives every student the opportunity of participating in various kinds of adventure sports and enjoy the benefits of community living. 11 Aditi Bhatt Advance training Camp Prakash Padukone Badminton Academy April and May Got selected for Advance Training Programme. 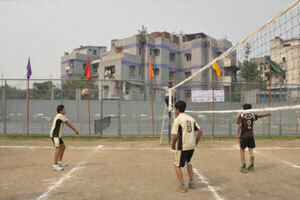 Ashoka House were declared as the Champions. 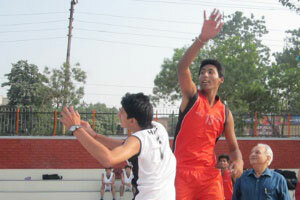 Final Match Between Shivaji House and Raman House will be played after summer vacation.